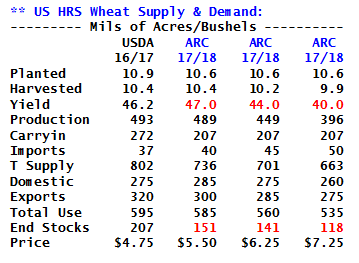 Spring Wheat Shortage to Support All Grains? There remains a surplus of corn, other feedgrains and total US wheat supplies, but moving forward, on the margin, changes are afoot. Drought has developed rather quickly across the Dakotas and Montana, and spring wheat is suffering a result. 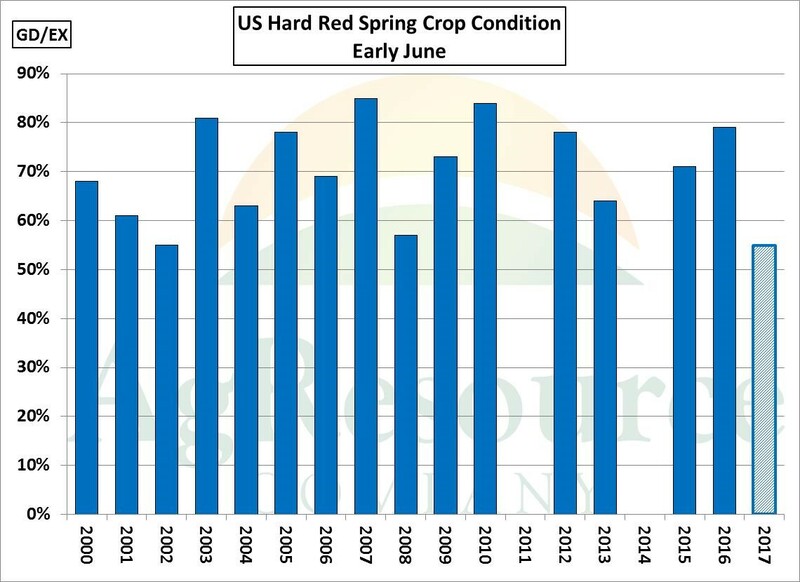 The spring wheat crop as of June 4th was rated at just 55% GD/EX, vs. 79% on this week a year ago, and which is tied for the lowest rating since records began in 1995. As such, it’s time to start working through various yield scenarios, and what the balance sheet looks like assuming weather patterns don’t change. 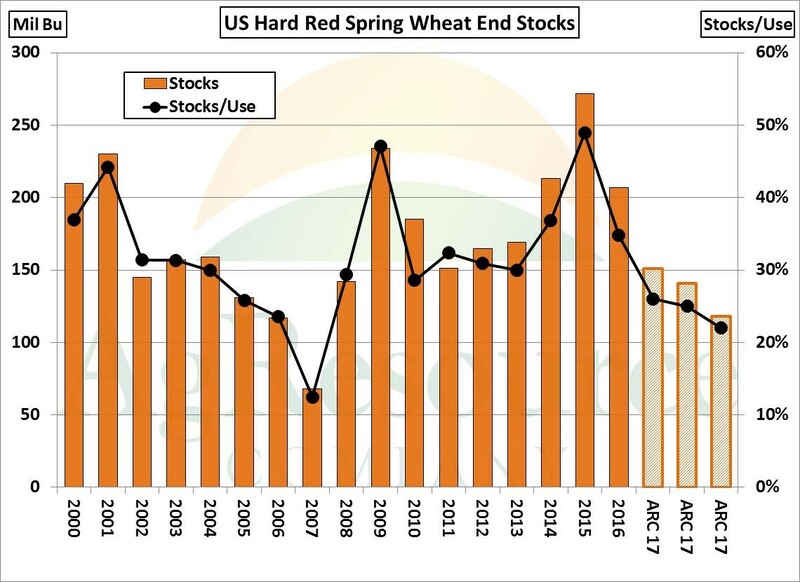 The table above displays hard red spring wheat supply & demand using trend yield, a yield 7% below trend and a yield 15% below trend. Total use will drop along with crop size, but amid poor protein levels reported so far across the HRW crop in the far Southern Plains, it’s possible that domestic use won’t change all that much. The balance sheet then becomes very tight, and it’s up to price to ration available high protein milling wheat supplies in North America. HRS end stocks using the above scenarios are displayed graphically above, and it’s important that HRS inventories will be cut by more than half relative to 2015/16. And even using trend yield, HRS stocks fall to a 9-year low. Overall, the US weather pattern has become rather uncertain. High temps in the 90s will be common across the Western Plains over the next five days, and a shift to cooler/wetter weather will be needed by late month. Selling corn at current prices looks a bit risky.